Seniors Are Special is passionate about providing premium home care and is committed to exceeding the expectations of our clients and families. Because no two clients will ever have the same set of needs, Seniors Are Special provides a variety of care services. Each client will be provided with a unique care plan. These care plans are a result of the needs assessment which is conducted at the start of the service. The care plan is actually a critical component in the success of providing senior home care to our clients. Some of the services included in a client’s care plan are Companionship Care, Personal Hygiene, Bathing & Dressing Assistance, Medication Reminders, and Monitor Vital Signs. We can also prepare meals and provide mobility assistance during transfers, exercises, recreational activities, and more. If needed, we can provide support for instrumental activities of daily living like grocery shopping and running errands. Basically, our senior home care services are customized to ensure the overall safety and well-being of the client. It doesn’t matter if you need care for just a short period, over the weekend, or if you need long-term care. Seniors Are Special has flexible care options you can choose from. We can arrange for Live-In Care (24/7), Weekend Care, Temporary Care, and even Hourly Care if you only need assistance for a few hours every day. Seniors Are Special hopes to provide affordable care without ever discounting on the quality of the services delivered. We are committed to cater to the needs of all clients whether they have insurance or not. We currently accept Private Pay and Long-Term Care Insurance. Seniors Are Special handles caregiver scheduling, payroll taxes, carry liability insurance and Workers’ Compensation coverage, assists in long-term insurance claim filing and provides 24-hour on-call support. Seniors Are Special has a committed staff of reliable and compassionate caregivers. Complete background checks are performed on all employees. 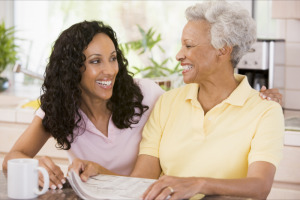 Caregivers are carefully screened, fully bonded, insured, and receive extensive training and continuous supervision. Caregivers are matched with clients after a thorough review of each client’s needs and situation. If you would like to find out more about our services and how we can help, please feel free to give us a call at 877-368-6460.